Promotional Awards and Recognition products are a great way to make your company stand out to important clients. 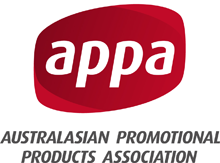 Vivid Promotions Australia offers a superior range of custom imprinted best value Promotional Awards and Recognition items. These Custom engraved Promotional Awards in the workplace can tell employees their work is noticed and valued. Awards and Recognition has been proven to boost morale, so host an awards event and thank your staff with Personalised Promotional Awards and Recognition merchandise. If you treat your employees as well as you do your customers you are bound to have a happier workplace and retain workers for longer. The important thing about corporate awards and corporate rewards is that they can motivate employees and executives to perform better and they therefore play a vital role in today’s business environment. If you are looking for a promotional reward or printed reward idea to acknowledge hard working staff, then maybe a Crystal Award like our Custom 3d Crystal Cube in a 60mm size. Everybody loves this branded corporate award cube and it allows you to create a 3d logo or message on the inside. This stylish customised award really needs to be seen to be believed. Another great option available from Vivid Promos Promotional Products Australia, is our Silver Star Glitter Globe with can be a custom printed award or laser engraved award to truly reflect your utmost appreciation. This eye-catching award has a shiny silver star inside a snow/glitter globe on a polished chrome metal base and is the perfect way for you to honour your star performers.